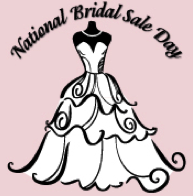 National Bridal Sale Day, July 16. 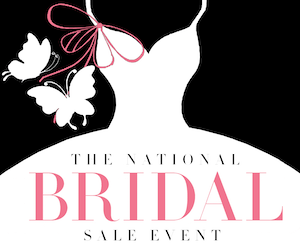 The first annual National Bridal Sale Day-Bridal Saturday- will take place on July 16, 2016. More than 700 locally-owned independent bridal retailers coast to coast including some top retail salons in Canada will participate in the inaugural event, offering brides designer wedding gowns and wedding party dresses at substantial savings. In some salons wedding gowns may be up to 80% off. National Bridal Sale Day, will be celebrated exclusively at locally-owned independent bridal salons. Conceptually, National Bridal Sale Day is intended to become a tradition, for the bridal industry, much like a Black Friday or Small Business Saturday, according to Maslowski. Future events will be held annually on the third Saturday of July “Bridal Saturday”. Organizations supporting this event include, Association of Wedding Gown Specialists, Bridal Guide, BrideClick, International Bridal Manufacturers Association (IBMA), My Wedding, The Knot,Vows Magazine and Wedding Wire. The Association of Wedding Gown Specialists is providing brides with coupons good towards gown cleaning and preservation.